In 2008, Equalizer (Gerald Joe Moreno) described me as “a staunch Anti-New Age advocate and Anti-Guru advocate.” He made no mention of the fact that I had composed such books as Gurus Rediscovered (1986), which provided sympathetic biographies of two Indian saints, including Shirdi Sai Baba (d. 1918). The polemic of Moreno was geared to conveniences of attack format, as distinct from reliable detail. The above description comes from a Moreno blog ridiculing Dr. Timothy Conway, a prominent American ex-devotee of Sathya Sai Baba (d. 2011) who was deeply concerned about the alleged sexual abuses of his former guru. The Moreno criterion for censure was here: “Kevin Shepherd blindly referenced him [Conway] although Timothy Conway is a true believer and promoter of Gurus.” Numerous other beliefs were added. This very strained argument was part of the apologist campaign of Moreno. One feels obliged to add here that Dr. Conway lodged a strong criticism against the American guru known as Adi Da Samraj (d. 2008), whose validity he repudiated. Moreover, his account of this disconcerting entity included a detail that is neglected in some other accounts, namely that Adi Da was “an avid drug-user over many years.” The website of Conway is also critical at some length of Bhagwan Shree Rajneesh (d. 1990), alias Osho. Conway became an ex-devotee of Sathya Sai Baba in 2001. He is strongly associated with a BBC confrontation in 2004 with Dr. Michael Goldstein, the Sathya Sai Organisation official who allegedly patronised (and paid) Moreno. Both of these doctoral entities subscribed to beliefs about gurus. In contrast to Conway, Goldstein became notorious for evasion on the subject of sexual abuse, which the BBC documentary Secret Swami did much to highlight. Gerald Joe Moreno (Equalizer) again resorted to misrepresentation. He wrongly stated that “Shepherd often attacks New Age believers and Guru promoters as being brainwashed and mentally sick.” Basing himself on this misrepresentation, the Pro-Sai campaigner accused me of discrepantly citing “New Age believers and Guru promoters” against Sathya Sai Baba. Therefore I was wrong. The argument is inane that guru supporters cannot be cited by critics who disbelieve in Sathya Sai Baba. Moreno had accused me of being incapable of formulating a sober argument. The sobriety of Moreno argument was in strong contention throughout his web tenure of 2004-2010. His Pro-Sai tactic of justifying a controversial guru, via the use of bludgeoning and defamatory verbiage, is not convincing in the slightest to most non-devotees. 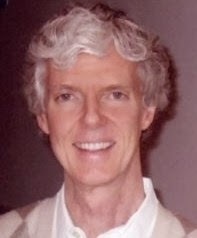 Dr. Conway is an advocate of non-dualism (an outlook associated with Hinduism). His approach to Moreno was relatively amiable by comparison with some other ex-devotees, but this made no difference to the hostility of the attacker. Conway refuted the charge of Moreno that the John Hislop letters of 1981 were forgeries. According to Dr. Conway, those letters are important documentary evidence of sexual abuse in the case of Sathya Sai Baba. 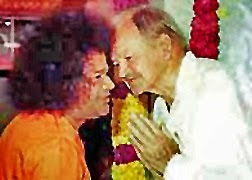 Dr. John Hislop (d. 1995) was an American devotee of the guru who could not believe that allegations of abuse were valid. Twenty years later, many ex-devotees accepted the truth of such allegations, which had increased substantially by that time.